P1 visas are granted to persons who are sent to the United States to participate in a specific international sporting event, both for the purpose of individual or collective performance, and for the purpose of assisting the athlete during the event; to perform as part of an internationally recognized collective of an entertainment genre that has proven its skills over a sustainable and long period of time. P-2 Visa in the U.S.
P2 visas are granted to artists or pop performers – individuals and groups who are sent to the United States through an exchange program between an organization or organizations of the United States and another country or countries, which provides for a temporary exchange of entertainers and pop entertainment genre. P3 visas are granted to artists or pop artists who are sent to the United States individually or as part of a collective for the purpose of performing, learning, or training as part of a unique cultural program. 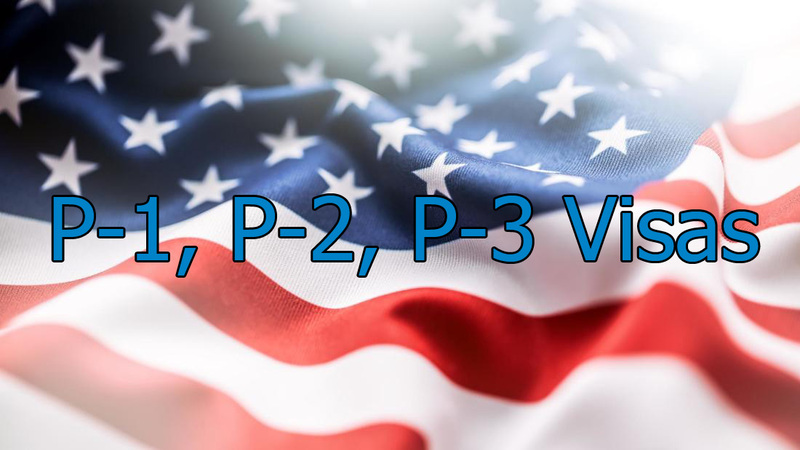 P4 Visas in the U.S.
P4 visas are granted to the spouse or children of the visa holders P1, P2, P3. For representatives of the entertainment genre, this visa is issued only for participation in a specific event. Attorney Claudine at Gasana Law Firm provides help with non-immigrant visas including P Visas such as P1, P2 and P3. Contact Gasana Law Firm today!